Last month, we launched a short survey calling for feedback and suggestion to improve our website, Facebook and Shuttle Time App. Our ultimate goal is to decide what types of features are built next, so we can better meet your need. We had nearly 250 feedback entries in the first seven days after we started the survey. A big motivation to our team indeed! We expect to hear many comments from you, both teachers and individual, but did not foresee such an incredible number of submissions that fast! Great thanks to you all for your feature request and ideas. Your valuable inputs help us shape the upcoming improvements in a more solid way. 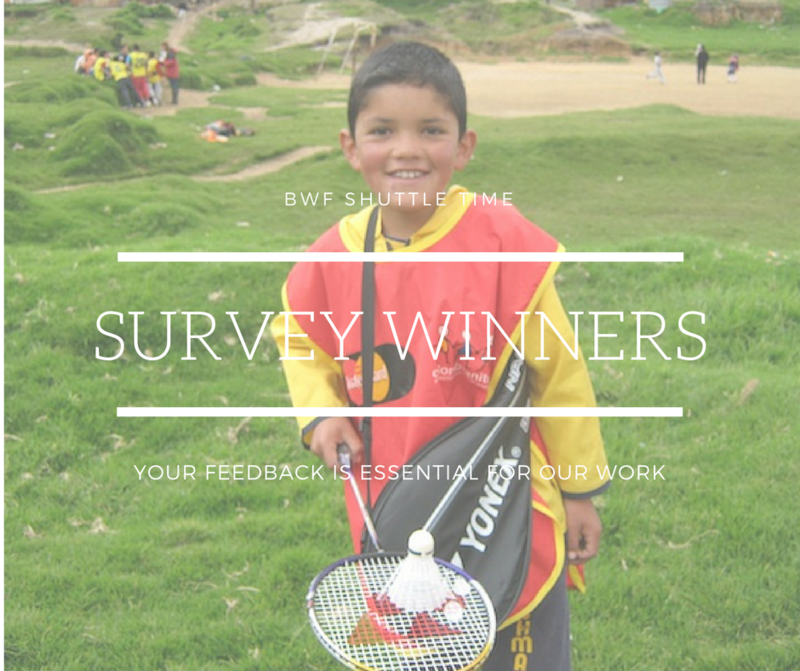 As mentioned in the survey announcement, for the best feedback that are submitted before 1st May, we will choose 5 lucky teachers and 5 lucky individuals, who will receive a school kit and a pair of Yonex racket respectively. A great big “Thank You” to all who participated in the BWF Shuttle Time Feedback Survey! The response was terrific and we appreciate all of the great feedback and responses we received. If you are one of these lucky folks, check your inbox! Please email [email protected] with questions or concerns.